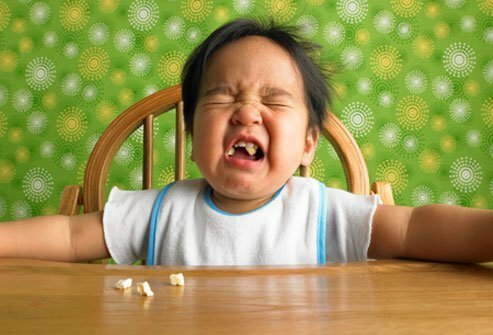 There are so many frustrations that come with feeding a little person who can’t communicate beyond sobs and screams. But with patience and guidance, you can learn to give your children the food they need in ways they will actually appreciate. Following this guide, you will be closer to that goal, starting with ways to introduce new foods. 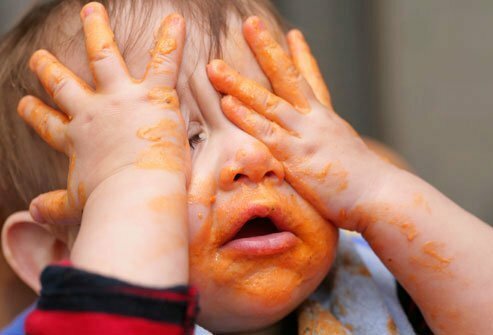 It’s common and natural for babies to shy away from unfamiliar foods. With so few food experiences, that makes a wide variety of foods a tough sell at first. There are a few strategies to combat this tendency, though. One is to make sure your little one eats with the rest of the family at mealtime. 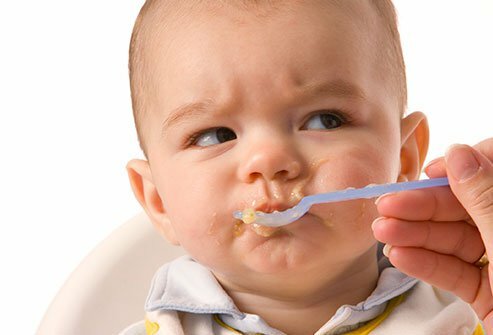 Babies learn by watching, and by watching their parents and siblings eating and enjoying a wide variety of foods, your infant is more likely to give them a try as well. This is important, because research shows that exposing babies to an assortment of flavors and textures sets them up for better health in the future. One easy fix is to feed more frequently with less food. The more food in your infant’s belly, the more likely it will be to all come back up again. So try smaller servings more often. 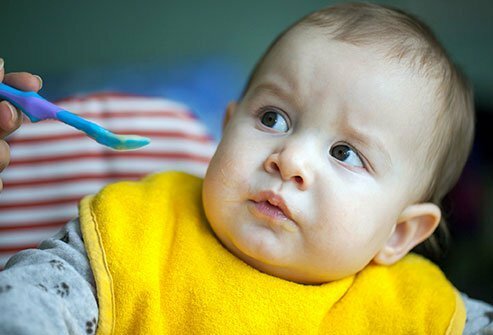 Though you should normally wait for the six-month mark to offer solids, there are some babies who should be given a little bit of mild, solid food with their milk or formula. That’s true if your little one has difficulty swallowing (dysphagia) or if spit-up is causing heartburn (reflux). 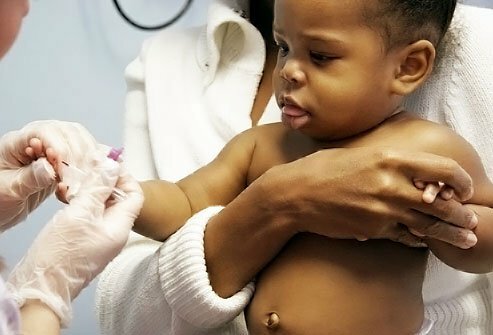 Talk to your pediatrician about best methods. Is your little tyke putting hands over mouth when the food choo-choo comes around? Maybe the scene in your kitchen is more like King Kong fending off airplanes, with every swat directed at the feeding spoon. Whatever way your child communicates “no more food,” it’s best to respect that choice, experts say. Refusing food could be a sign your child is sick, distracted, exhausted, or simply full. In either case, your little one will resume eating when ready. Your kids are born with certain food preferences. From the start, young children prefer smooth, sweet foods that are calorie-dense. These foods are usually easy to chew and provide a lot of energy, but they don’t meet all nutritional needs. So getting your little one accustomed to new foods is important for developing healthy eating habits that can last a lifetime. For some reason at a certain point your baby will probably start refusing new foods. There’s even a word for it: neophobia. 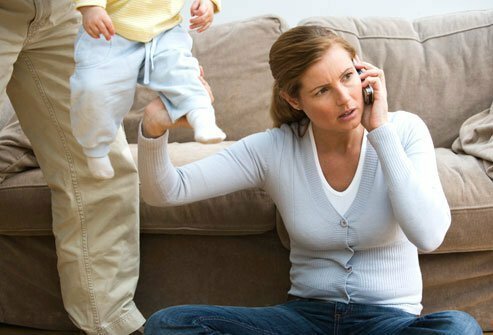 Neophobia usually peaks at 20 months and fades away by the time a child is 5 to 8 years old. Despite this tendency, there are ways to introduce new foods early. Researchers have studied what could possibly make picky eaters adapt more easily to new foods. They’ve found some solutions, too. One is breastfeeding. Because breast milk has more flavor variety than formula, this helps condition a child to accepting a wider range of foods. It’s not all about taste, though. Texture plays a big part in the way we eat, and our tongues develop the ability to move solid foods around the mouth between six and 12 months of age. This is also a great time to start introducing lumpier and more solid foods beyond a smooth puree. There’s good news, though. 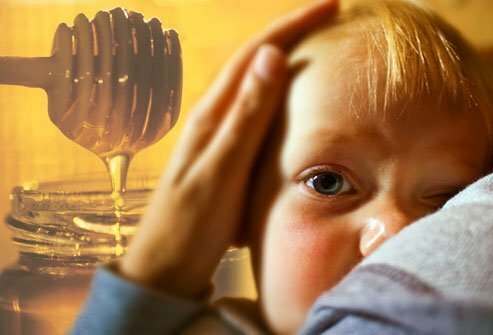 If your child is allergic, chances are about 80% to 90% that she will outgrow her allergies to wheat, soy, eggs, or milk by the time she reaches age 5. However allergies to peanuts are only 20% likely to go away by age 5. Tree nut and seafood allergies are even more persistent. Colic can have many causes, which can include overfeeding. Make sure to limit feeding to once every two to two and a half hours to avoid this. 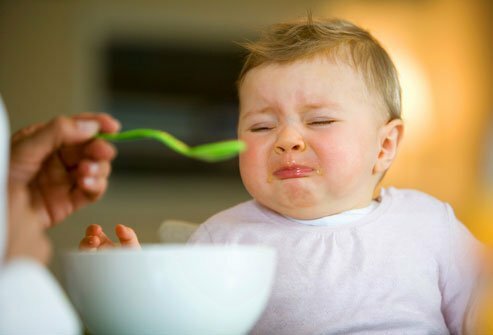 Another feeding issue related to colic is food sensitivity. In some rare cases, a little one may be upset from either their feeding formula or by something being passed through mother’s milk based on her diet. Whether it’s moving too fast or too slow, bowel issues can be scary for parents. That’s especially true for new parents, who may be wondering if everything is normal, or if it’s time to call the doctor. Here are some tips. If a soiled diaper shows green, that’s actually normal. Healthy newborn poop color ranges from yellow to green to orange to light brown, or any combination of these. That color is caused by normally occurring bacteria as well as bile, the digestive juice used to neutralize stomach acid during digestion. 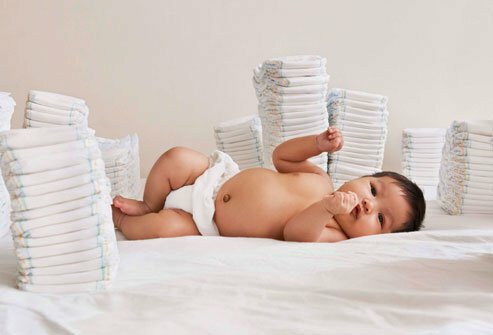 The first thing parents should understand is what diarrhea is—and what it isn’t. Loose stool is not considered diarrhea. But if the stool is watery and is occurring as much as 12 times a day, you should check for other symptoms as well. If your little one is under three months old, has a rectal temperature of 100.4 F or higher, vomits, refuses feeding, lacks energy, or exhibits signs of dehydration (mouth is dry, isn’t urinating for three hours or longer), call the doctor. 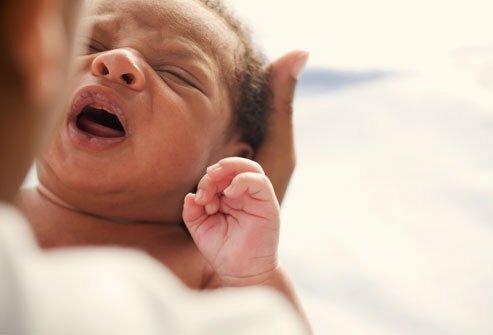 Constipation is unusual in infants. And it can be easy to mistake normal behavior for a problem. 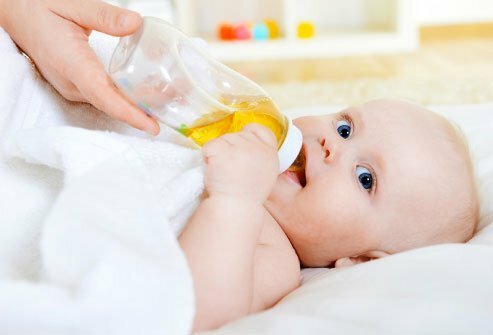 Under normal circumstances, a bottle-fed baby will usually poop once a day, but she may go a day or two without passing stool. One who is breast-fed may not be feeding enough if he isn’t pooping once a day, but can actually go as long as a week between movements under normal circumstances. What do you do if real constipation is suspected? You can try apple or pear juice, which can help add water to poop and make it pass more easily. Limit the juice to one ounce per month the child is old. So a three-month-old could normally be given three ounces of juice per day. If you’ve already introduced solid foods, try fruits and veggies—especially prunes. If these home remedies for constipation don’t work, call the doctor. There are good reasons to consider grinding your own food for baby’s mealtime, but one big advantage store-bought jar food has is preservatives. Preservatives keep foods fresher longer, so jarred food usually doesn’t spoil quite as quickly as anything made fresh at home. “Longer” is not the same as “forever,” though. 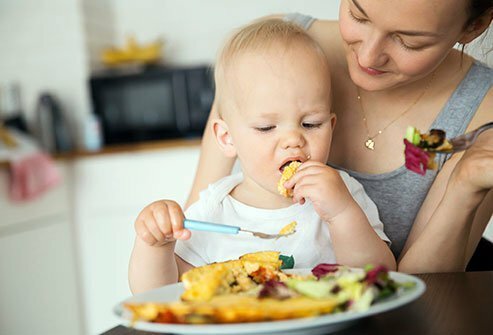 If you’re saving jarred leftovers for the next meal, that can introduce bacteria from your baby’s mouth into the leftovers, where the bacteria can grow, potentially upsetting little tummies next time. If you’ve been doing this and notice symptoms like diarrhea or vomiting, try changing mealtime habits. It’s hard to believe, but your helpless little bundle of joy grows quickly, and soon he is eating a lot of the same foods you are. But if what you eat is junk food, this can be a dangerous time for your young one’s digestive health. 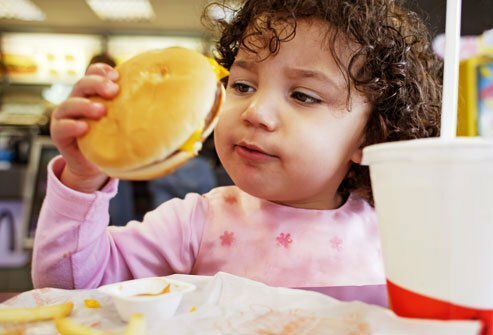 By introducing salty, sweet, and fatty, greasy foods early, you may be starting your child down a long road of unhealthy food habits. These habits can be tough to break, so for better health for the whole family, start making healthy food a priority in your home. Lots of young children are fed bland, starchy food because these foods fit their natural preferences and are reliably eaten with fewer complaints. But the healthier options you really want them to eat tend to have more complicated flavors. And there’s nothing wrong with zesting up baby food, which can make an easier transition to more solid, healthy choices down the road. When is it time to ween your baby from the bottle? For best care, here’s what doctors have to say. Babies should not start on solid foods until they reach six months, according to the American Academy of Pediatrics. 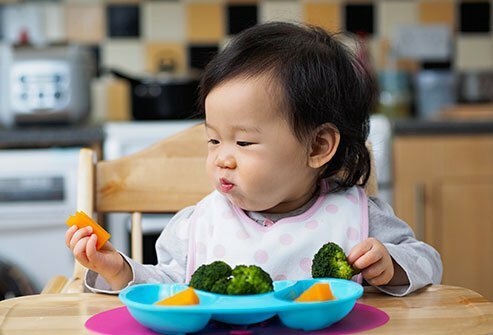 Many babies start on solids sooner—around the three-to-four-month phase. That’s especially true if you bottle-feed your baby, or if you perceive your baby as fussy. Fruit juice is a common part of even the tiniest children’s diets. But doctors now recommend avoiding it completely before their first birthday. That’s because whether or not it has the word “fruit” in it, fruit juice is not particularly healthy. It shouldn’t be used as a substitute for real fruit, according to the American Academy of Pediatrics, as it can lead to obesity.